Practice Areas Financial Institutions Law – Zimney Foster P.C. We represent many state chartered and nationally chartered banks throughout the region, advising our clients on regulations and compliance matters. Drafting loan documentation for revolving, term, real estate, and construction project commercial loans, participation credits, governmentally guaranteed loans with the SBA and USDA, bond financing, Swaps and other specialty financing. Loan documentation for financing on Tribal lands with expertise in sovereign immunity waiver issues and Bureau of Indian Affairs guaranties. Experienced in green energy financing documentation, including ethanol, wind and natural gas facility financing. Handling domestic as well as international letters of credit for agricultural commodities and commercial sales and construction project bonding. Loan workout agreements for agricultural and commercial troubled loans. We also defend banks accused of Federal Fair Credit Reporting violations, lender liability and bad faith, and we are approved for bank insurance and bonding company defense claims, and director and officer liability issues. 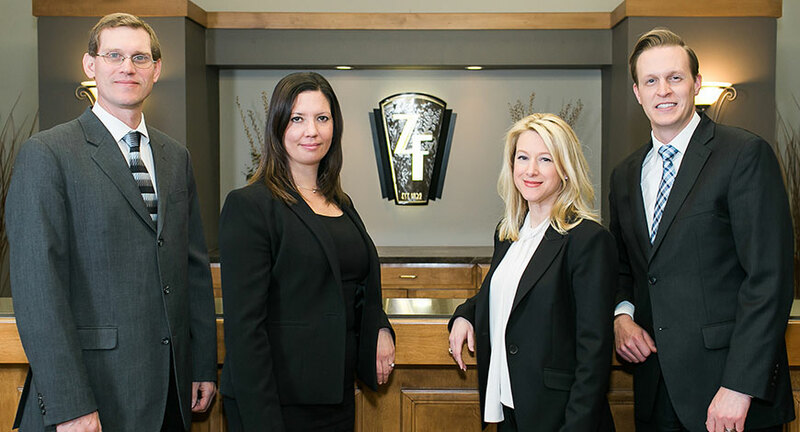 We have experts in protection of bank collateral and loan claims in bankruptcy, automatic stay relief, and voidable preference defense litigation in bankruptcy.